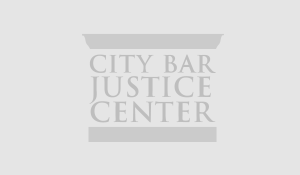 Julie came to the City Bar Justice Center’s Consumer Bankruptcy Project (CBP) after incurring approximately $30,000 worth of debt due to three separate bouts of cancer and subsequent medical treatment. She was unable to file her taxes on time during her treatment and was constantly harassed by her creditors. The constant stress of her financial hardships was taking a toll on her health. The CBP analyzed the client’s tax debts and advised her that the older taxes were eligible to be discharged under chapter 7 bankruptcy. The CBP secured Julie, a pro bono attorney, who advocated for the client with the Internal Revenue Service and the New York State Department of Taxation and Finance, arguing that her past taxes should be discharged. Both New York and the IRS agreed. The vast majority of Julie’s tax debts were discharged, along with the rest of her $17,000 in consumer debt. She was incredibly relieved to get a fresh start free of her debt and the exhausting pressure from creditors.